One of the highlights of the National Archaeological Museum in Athens, Greece, the Antikythera Mechanism now has its own dedicated exhibit gallery in which all of its fragments are on display. Believed to date to somewhere around 100 BC to 205 BC, it was found amongst a large cache of statues, coins, and other artefacts on a sunken shipwreck discovered in 1900 by sponge divers off the coast of the Greek island of Antikythera. It was badly damaged after such a long time in the salt water, but extensive research in recent decades has resulted in a consensus that it is a kind of astronomical analog computer as well as some modern reconstructions. 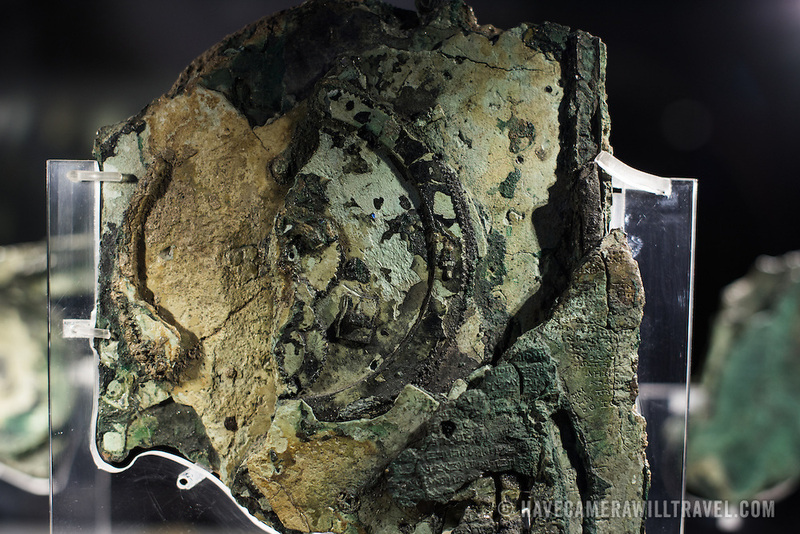 The back side of Fragment A, the largest surviving piece and the one that contains most of the gears.